Two of the most skillful and dominant bigs ever to play the game. The Center is the backbone of any team's backline of defence. They are supposed to be legit seven footers who can protect the paint on defense as well as play in the post with authority on the offensive end of the floor. 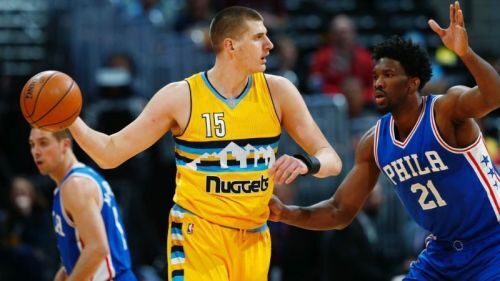 They work hand-in-hand with the power forward on the team to secure the boards at every possession and are commonly referred to as the five or big men. Being the tallest players on the team, they are frequently known as the 'stretch fives' if laced with the ability to shoot threes in the modern day and age. Emerging with the rise of George Mikan back in the '50s and carried forward by the likes of Bill Russell and Wilt Chamberlain, then Kareem Abdul Jabbar, Hakeem Olajuwon and our very own Shaquille O'Neal as the latest Hall of Famer in line, the center position has seen a rising prominence in the five-man lineup of an NBA roster. Let's head into the stat sheets for the 2018-19 season for now and pull out the three best individuals at this position so far. 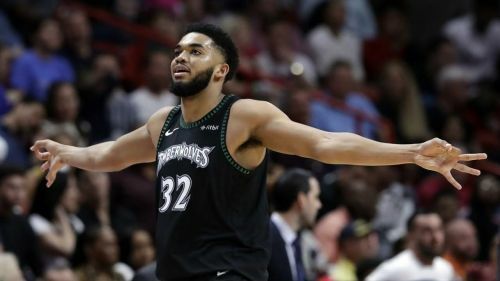 Before the season kicked off, Minnesota had made it clear that they want KAT as their longterm cornerstone, by offering him a supermax contract of five-year/$190M. Even though the Timberwolves have been disappointing as a unit, Towns' individual accomplishments tell a different story. He just got picked to his second straight All-Star game at the age of only 23 and is averaging a solid double-double along the 57 games played this season. Anthony-Towns is averaging 23.1 points and 12.0 rebounds per game this year, with this not even being his career-best. Having put together an even better 25.1 ppg and 12.3 rpg a couple of years ago in all of 82 played that season, we can only imagine where this man's ceiling lies. Highlight: Against the Pelicans in January, KAT recorded a monster double-double of 27 points and 27 rebounds(season-high), along with four blocks in a 110-106 win.